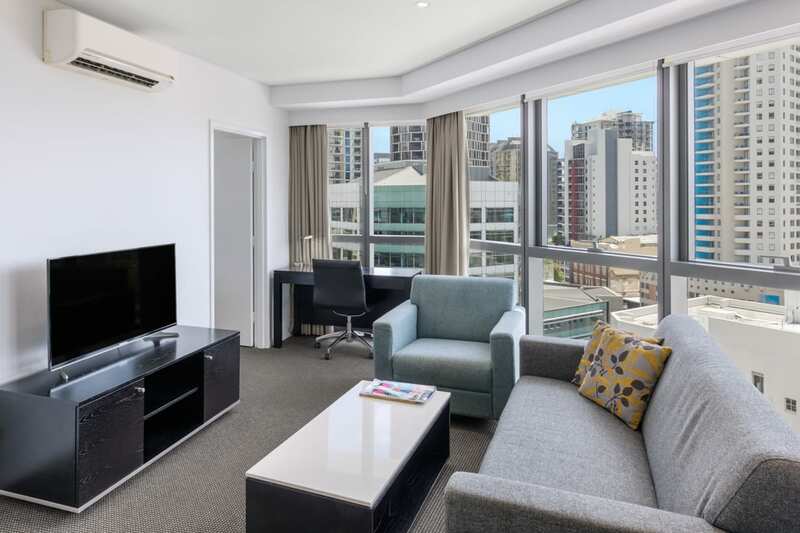 Perfect for a corporate guest or quick stay. 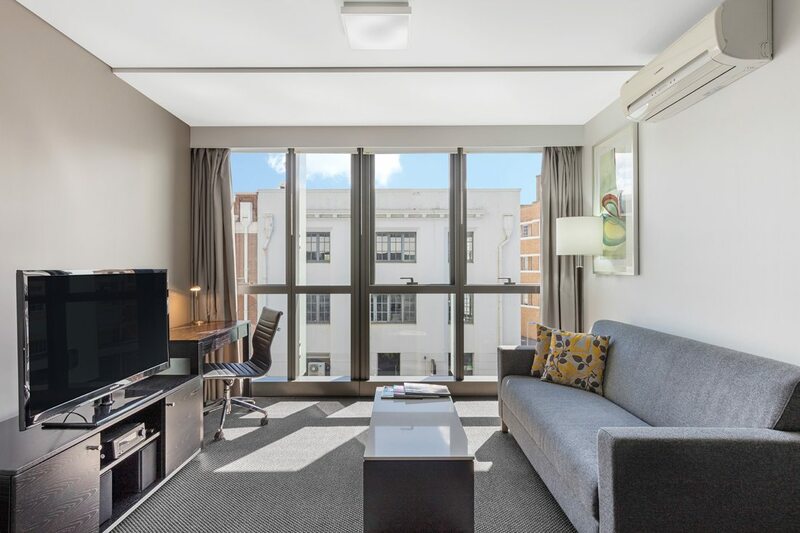 Enjoy the extra space over a studio suite. 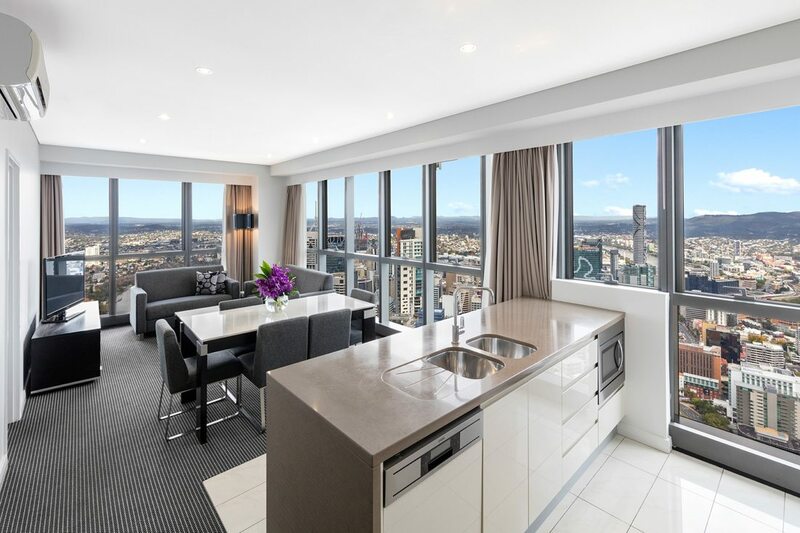 Great for families or two couples looking to stay together. 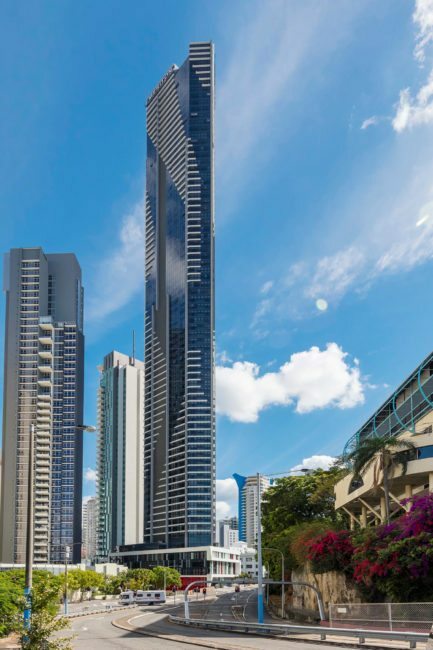 This suite has two full bathrooms & larger living space than a 1 bedroom. Great for families or two couples looking to stay together. 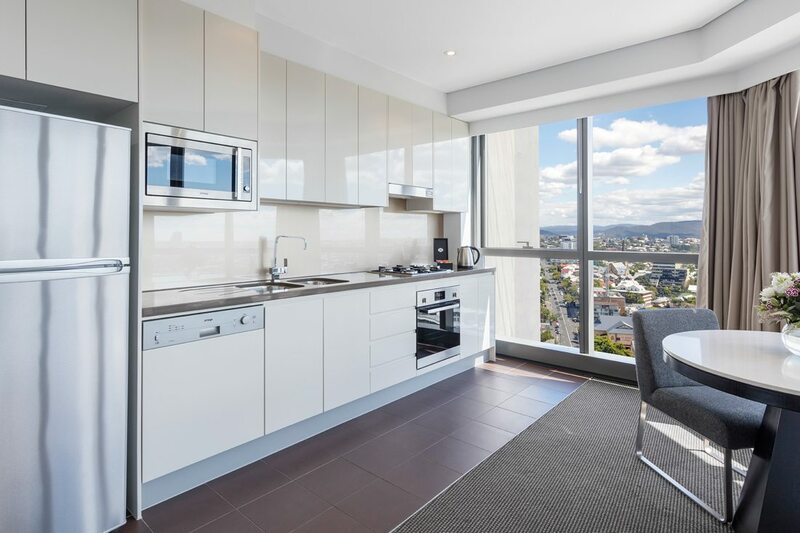 Relax and enjoy views of Brisbane from a guaranteed high floor. 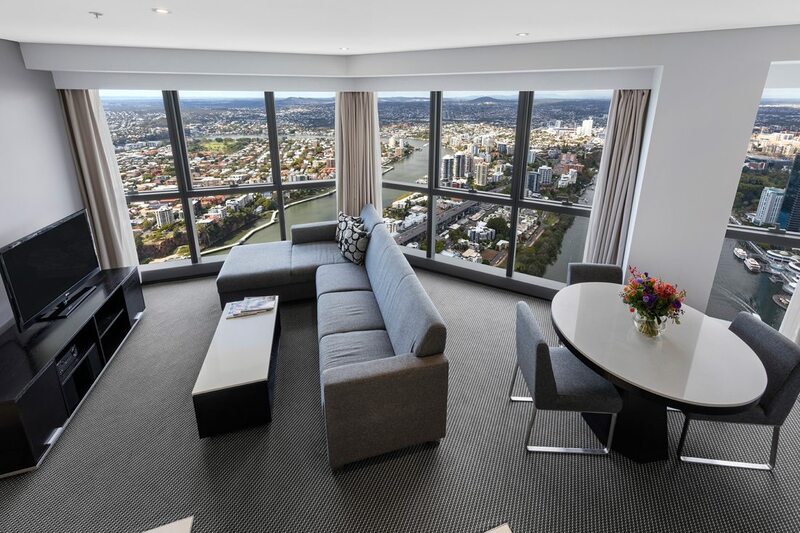 Our biggest suite, perfect for panoramic views overlooking Brisbane. Popular during fireworks.